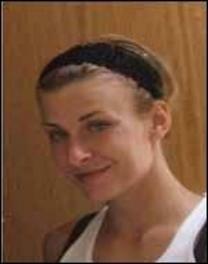 October 11, 2012 - It’s been nearly 5 years since Christine Sheddy disappeared while staying with acquaintances near Pocomoke. 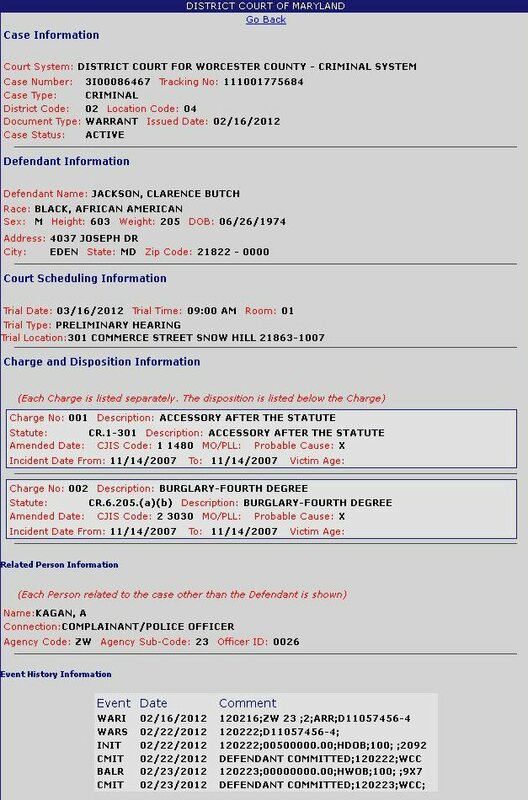 Now, Tia Johnson and Butch Jackson will be spending more time in prison in connection with their part in Sheddy’s murder. Both were in court today and Bill McDermott in the Worcester County State’s Attorney’s office tells WGMD Jackson was sentenced to life in prison on a charge of 1st degree murder with all but 30 years suspended. Johnson was sentenced to 15 years on charges of 3rd degree burglary and accessory after the fact – with all but 7 and a half years suspended. 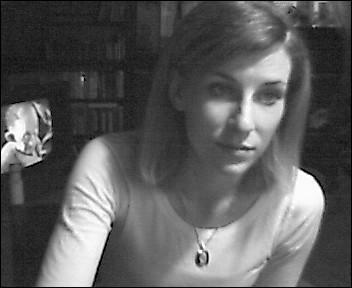 Justin Hadel of Texas was also a guest at the Pocomoke house when Sheddy disappeared – he was convicted in her murder in June of 2011. February 17, 2012 - Tia Johnson and Junior Jackson have both been arrested by the Worcester Bureau of Investigation for being accessories in the murder of Christine Sheddy. Jackson is the cousin of Justin Hadel, who was convicted in Sheddy's murder last year. Both Jackson and Johnson lived at the Pocomoke farm where Sheddy was killed and allegedly helped to hide her body. 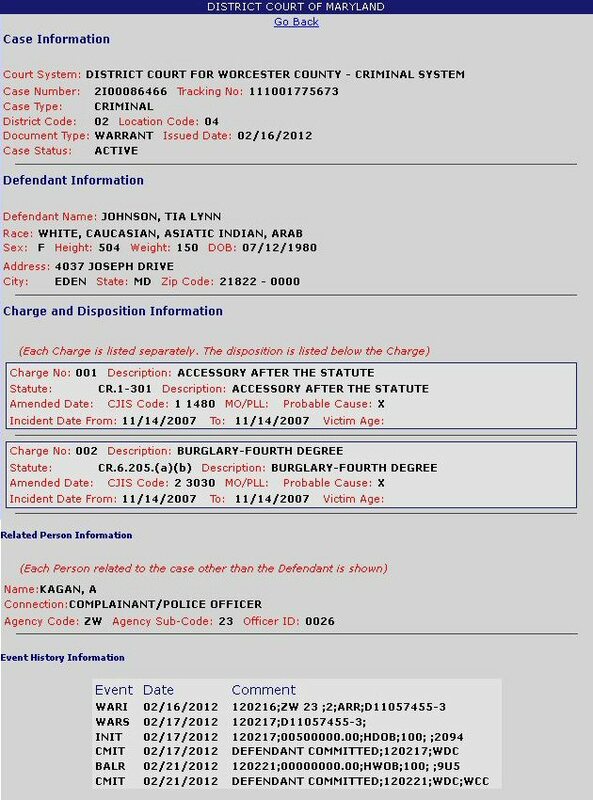 They each are charged as accessories after the fact and burglary. Both Jackson and Johnson are being held without bond at the Worcester County Detention Center. June 15, 2011 - A Maryland jury found Justin Michael Hadel, of College Station, Texas, guilty in the 2007 murder of Christine Sheddy. The four day trial was shorter than expected when Hadel's attorney called no witnesses or gave no defense and it took the jury just 3 hours to come to a unanimous verdict - that he not only murdered Sheddy, but that it was premeditated. The state attorney is seeking life without parole. Judge Thomas C. Groton III has ordered a pre-trial investigation. 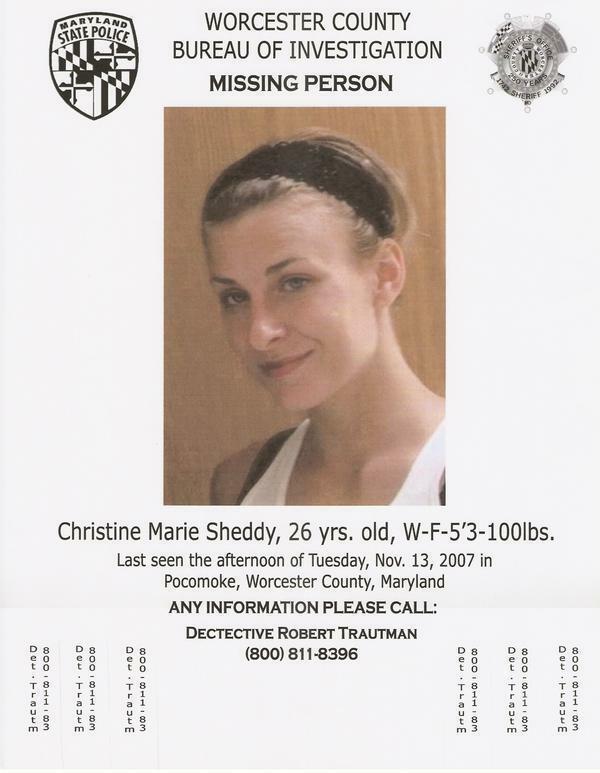 On Friday, February 19, 2010 human remains were found behind the River House Inn Bed & Breakfast in Snow Hill - about 20 miles away from where Christine Sheddy was last seen near Pocomoke City, MD on November 13, 2007. 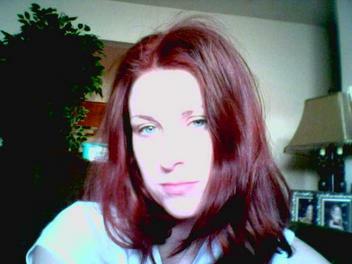 The Maryland Medical Examiner was able to positively identify the remains using dental records as Christine Sheddy. At this time it's unknown how Christine's remains ended up in Snow Hill and there is yet to be any determination on the cause of death - which the Worcester County State's Attorney is calling suspicious. The investigation is continuing and anyone with information about Christine Sheddy's disappearance, murder or the moving of her remains should contact the Worcester Bureau of Investigation or the Worcester County Sheriff's Office. Those numbers – (WCBI) 410-352-3476 in Maryland or 1-800-811-8396 or (Worcester. Sheriff) 410-632-1111. On February 20, 2010, following the discovery of the remains of Christine Sheddy in Snow Hill, charges were issued against Justin Michael Hadel, age 19, of College Station Texas for 1st Degree Murder, 2nd Degree Murder, 1st Degree Assault, and 2nd Degree Assault. 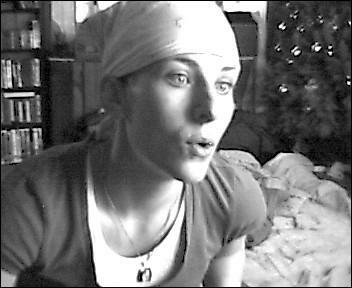 Justin Hadel was arrested in Texas after a warrant was issued Feb. 25, 2010 and the following day the Worcester County State's Attorney announced that the human remains found behind a Snow Hill bed & breakfast a week ago have been identified as Christine Sheddy, who disappeared in November of 2007. The Maryland Medical Examiner used dental records for the identification. Murder charges have been filed in the death of Christine Sheddy. 19 year old Justin Hadel of Texas was charged on February 20th – the day Sheddy’s remains were found behind a Snow Hill bed and breakfast. The Worcester County State’s Attorney says Hadel was also a guest at the farm in Pocomoke at the time Sheddy went missing in November of 2007. During the investigation witnesses said Hadel was responsible for Sheddy’s murder and gave investigators a possible location of her remains. Hadel waived extradition and was brought from Texas to the Worcester County Jail yesterday. The changing looks of Christine Sheddy!